The site allows students to vote on keeping or rejecting their current political representatives. Despite the marked rise in student activism in the wake of the Marjory Stoneman Douglas High School shooting, it can be easy for politicians to ignore students. After all, most of them aren’t old enough to vote. Inspired by recent student activism, three New York creatives decided to create a project to help elevate the voices of those students still too young to vote. 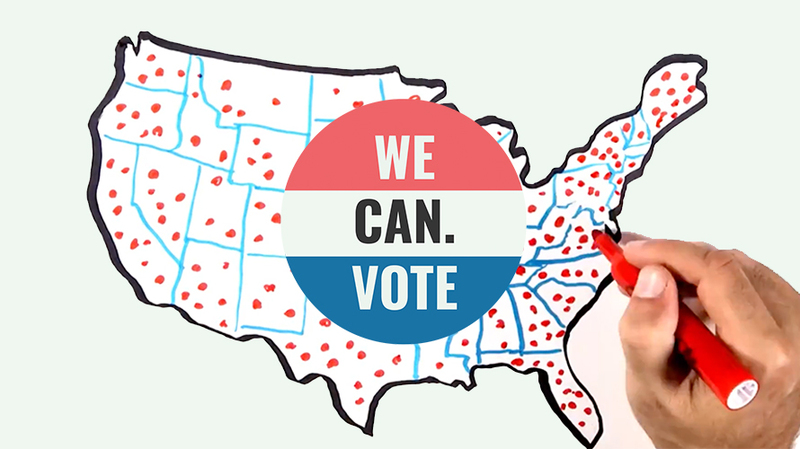 They created WeCan.Vote, an election site for future voters. The site allows students to vote on keeping or rejecting their current political representatives, providing links to the politicians’ websites and their NRA score. “This generation asked us to march, and we marched. They dared to face politicians in a townhall, and with goosebumps, we watched. And when they asked the creative industry for help [at a 4A’s Accelerate panel in Miami], we felt like we definitely needed to do something. We’ve been inspired by them,” the creatives, who have chosen to remain anonymous, told Adweek via email. When the site was ready to share, they reached out to student groups and connected with high school senior Reuben Glasser, founder of student activism group Students for Gun Legislation, which has chapters in both Ohio and Michigan, and decided to partner with the group. While the site just recently launched, they are already receiving enthusiastic responses from students. Some student feedback has already led to tweaks to the site, such as more prominently featuring NRA ratings, based on input from March For Our Lives student activists. Ultimately, the team behind the project hopes to get as many students voting as possible. While the site could eventually expand to encompass other issues, for now they are focusing on the “complex issue” of gun control.